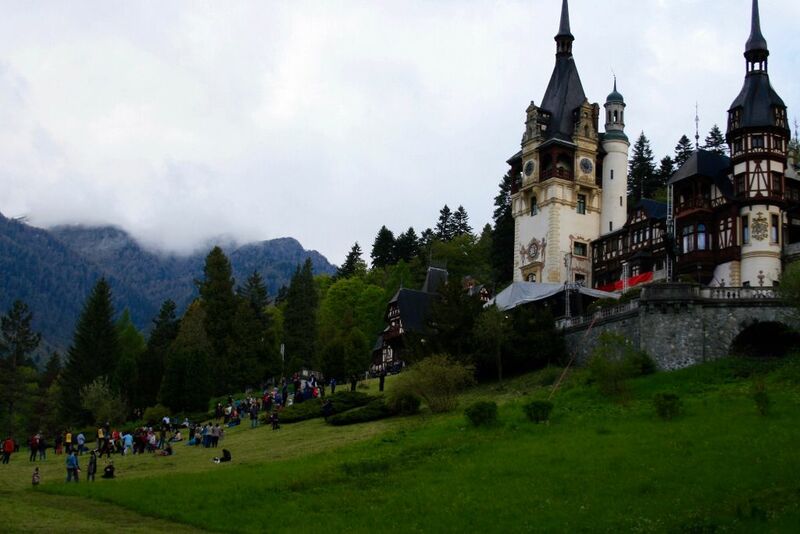 Central Romania’s Bran Castle and the Peles Castle in Sinaia made the list of the 20 most beautiful castles in Europe, compiled by Spanish daily El País. Also known as Dracula’s Castle, the Bran Castle (pictured in opening photo) is one of the most visited tourist sites in Romania. More than 800,000 people visited it in 2016, with 500,000 being foreign tourists. Located just 30 km away from Brasov, and 170 km north of the capital Bucharest, the medieval castle became known worldwide due to its striking resemblance to Dracula’s Castle, as depicted in Bram Stoker’s 1897 Dracula novel. The castle is now owned by Prince Dominic Habsburg-Lothringen, the son of Princess Ileana of Romania, and the grandson of King Ferdinand I and Queen Marie of Romania, who got it back from the Romanian state in 2006. The Neo-Renaissance Peles Castle (pictured below) in Sinaia, 140 km north of Bucharest, was built between 1873 and 1883 as a summer residence for King Carol I of Romania, who reigned between 1866 and 1914. It was the summer residence of Romania’s last king, Michael I, until 1947, after which it was seized by the Communist regime. In 2006 the Peles castle complex, which includes the Pelisor Castle, was given back to the Romanian Royal House. The site is currently administered by the Culture Ministry. The Pelisor Castle, built in 1899 – 1903 by order of King Carol I as a residence for his nephew and heir King Ferdinand, hosts Queen Marie of Romania’s heart, after it was kept in the National Museum of History’s deposit for more than 40 years. The El País list includes a variety of “fairy-tale” castles, ranging from the 19th century Romanesque Revival palace Neuschwanstein in Bavaria, Germany, to Ireland’s oldest castle, the 1228 Ashford Castle or Switzerland’s Chillon Castle, on the shore of Lake Geneva. The latter attracted throughout its history painters such as Eugène Delacroix, J. M. W. Turner or Gustave Courbet, and writers such as Victor Hugo, Alejandro Dumas, Gustave Flaubert or Lord Byron, who titled one of his poems The Prisoner of Chillon. The one Spanish castle included in the list is the 12th century Alcázar de Segovia, known for having inspired the Disney design of Snow White’s castle. The full list of castles can be checked here.